California’s new education budgeting process, known as Local Control Funding Formula, was designed to shrink the achievement gap among students by funneling more money to schools’ neediest pupils, but a year-long study of LA Unified shows the district has so far failed to fulfill that mission. Under the state formula foster care youth, students living poverty and those requiring special education programs earn the district additional funding to supplement their education. While the board made commitments to distribute those funds — $700 million in 2013-14 and another $145 million in 2014-15 —to an array of initiatives targeting this student population, the money was largely invested in special education efforts as well as restoring staff positions. According to the study, few of those re-hires were directly tied to instruction, especially at the elementary school level. Research for the study was gathered through student surveys, focus groups with pupils, teachers and principals, and analyzed school-by-school budgets. Several improvements were made over the current school year. Spending on new instructional aides for English learners is up; programs benefiting foster care youth were launched; and funding for restorative restorative justice programs got a boost. 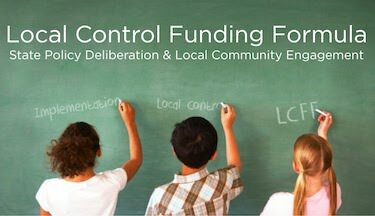 The analysis concludes that the district has no coherent strategy for how new positions and program dollars supposed to spur discrete improvements at the school level. Further, district officials have no method of tracking which endeavors are successful and which need modifications.